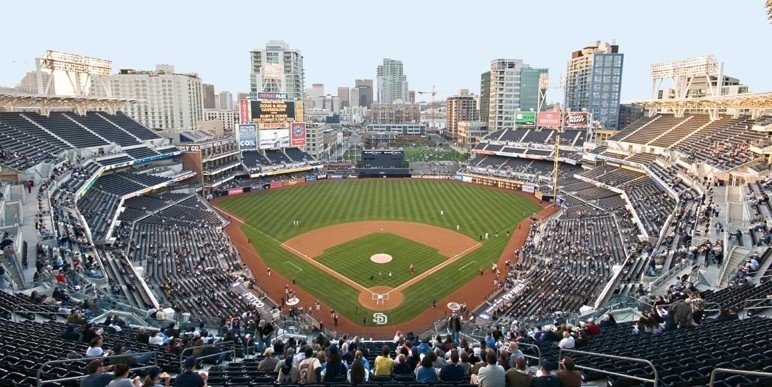 Qualcomm Edge Intelligent solutions and OSIsoft PI System help monitor Petco Park facilities in real-time to improve efficiencies and maximize the value of their current infrastructure. OSIsoft and Major League Baseball started working together three years ago on reducing energy and water use in ball parks across North America, as I reported in November 2014. The effort is not just about saving costs; sports stadiums are critical infrastructure, and their facilities managers are anxious for data tools that help them manage parks more effectively and securely. 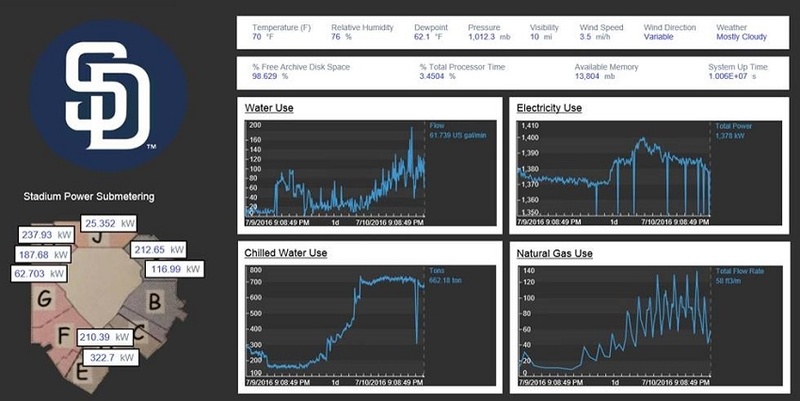 OSIsoft’s PI System reads real-time energy data and captures asset performance over time. It is widely used for fault detection and smarter maintenance. The San Diego Padres has paired the PI System with edge intelligence gateways, powered by Qualcomm® Snapdragon™ processors, to collect data from water, wastewater, and power systems at different sub meters. The gateways connect to sensors and legacy systems throughout the ballpark using a broad range of communication methods, including wired and wireless technologies, analog and digital inputs, and multiple communication protocols. They acquire, store, and stream data in real-time to the OSIsoft PI System, which then presents the data to the Padres’ facilities managers using OSIsoft’s Visualization Suite and analytics, providing the operations team with deep situational awareness of everything happening in the venue. The Padres believe they can cut utilities by more than 25% in five years. The number of occupants in a sports stadium like Petco Park can zoom from a handful of employees to full capacity and then back to a handful in a matter of hours. Furthermore, many of these venues were not built with sophisticated instrumentation and control systems to closely manage water or power. Under this collaboration, Qualcomm Intelligent Solutions and OSIsoft can help facilities managers monitor potable water, non-potable water, chilled water, natural gas and electricity consumption from sensors throughout the park during games or other events. This also allows the Padres to help vendors and/or tenants understand their utility usage at a granular level and drive toward the Park’s overall sustainability goals. “Because of this combined system, we can see exactly how much water, power and gas each operation uses ballpark-wide, and can work with our operators and tenants to manage usage and increase the reliability and overall performance of the venue,” said Randy McWilliams, senior director, facility services for the Padres.